Oh gawd it's over the magic 35% discount....still think I'd go to Tesco at £111 + £44.44 Bella Italia coupon through clubcard though. Was just about to post myself, so we'll done to 'rubytuesday' for being quick. Get the hat and sun cream, scorchioooooo! cheers for the vote of confidence! Anything to do with Lego is massively over priced. They probably cost tuppence to make, but the profit margin is absolutely huge. A greedy company which I try to have nothing to do with. Anything to do with Lego is massively over priced. They probably cost … Anything to do with Lego is massively over priced. They probably cost tuppence to make, but the profit margin is absolutely huge. A greedy company which I try to have nothing to do with. Well my son loves it. 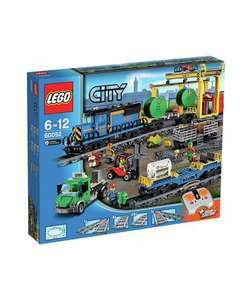 I can see the value in some of the larger sets especially the modulars. They're cleverly designed and detailed. I'd rather spend £££'s on Lego than waste money on other toys which are played with for a day then not used. Well Lego have built a business empire to be envious of. Great product which has evolved, people still buy and love throughout generations, highly profitable . The moral of the story is wait for a decent deal on it. Never pay full price! What you pay for is very well-made, durable components, which are back-compatible with decades old toys of the same make. I have Lego that's over 20 years old, still in great condition, still works with brand new Lego. I have some from the 60s my kids played with it in the 90s it is still fine not faded or cracked like most modern toys do within weeks, this kit has 888 pieces that's under 1p per piece! and there are motors and controllers in the box as well. I have some from the 60s my kids played with it in the 90s it is still … I have some from the 60s my kids played with it in the 90s it is still fine not faded or cracked like most modern toys do within weeks, this kit has 888 pieces that's under 1p per piece! and there are motors and controllers in the box as well. Yes 10p, I wont edit my post, it will show everybody my bad maths. I've seen old faded, cracked and worn Lego. The older stuff wasn't as good as the materials now. Sure it may have been how it was looked after, but old stuff is not as good as now. Reserved 2. Gosh it's expensive having twins! Went to collect my two sets, paid on Wednesday by the fast track system. So fingers crossed they get them however the manager didn't look very hopeful as offered me a refund, which I declined and said I would like the item so I will wait. Went to collect my two sets, paid on Wednesday by the fast track system. … Went to collect my two sets, paid on Wednesday by the fast track system. It appears it's no track! As no stock has arrived at the store even though I've paid :-(So fingers crossed they get them however the manager didn't look very hopeful as offered me a refund, which I declined and said I would like the item so I will wait. Anyone else have problems? The deal I've posted has now expired but maybe if anyone saved a screen shot or printed off the original deal there's still a chance Toys R Us would Pricematch? I did that immediately as I didn't want to wait for Argos on the off chance they wouldn't honour it as sometimes happens with deals this good. As long as Toys R Us haven't twigged it's expired they might do the deal? I guess you haven't read the posts before yours. I'm due to collect my order tomorrow. Has anybody had the price honoured? It's funny how it wasn't available for 4 days, how is anybody able to get at the offer price if they make you wait to collect until the price goes up? Also funny how stores with stock now have immediate collection available? Is it a con to get you in to pay full price? If only reserved but not paid, try showing your confirmation email as they might honour that. I had the price honoured when I collected it at the till, the price came up as £139.99 but I showed the confirmation email and they charged me the lower price. If you have reserved this at 84.99 and have either a confirmation email or text stating this price then Argos will honour the price only if you go to the till point to query and pay. Thank you, the price was honoured!! Bargain!